The 2019 Toyota Corollas are on the lot at every DARCARS Toyota dealership in the Washington, D.C. area. It has an irresistible exterior, sharp interior and hardworking engine for a more enjoyable ride. 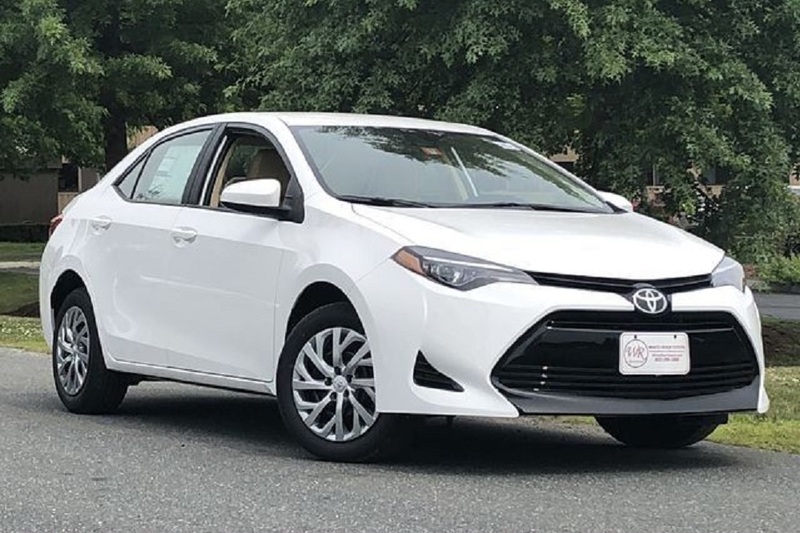 You can avail the 2019 Toyota Corolla at less than $19,000. The 2019 Toyota Corolla has heated front seats and SofTex trim. Its rear seats can be folded for added space for cargo and passengers. The Smart Key System and Entune Audio System add convenience to every driver while staying connected to the outside world. This vehicle also can get up to 40 mpg via Eco Mode. The Sports Mode and paddle shifters provide an athletic driving experience. Plus, the Toyota Safety Sense system provides safety in every ride. For more information about the 2019 Toyota Corolla, visit a DARCARS Toyota dealer to take a test drive.